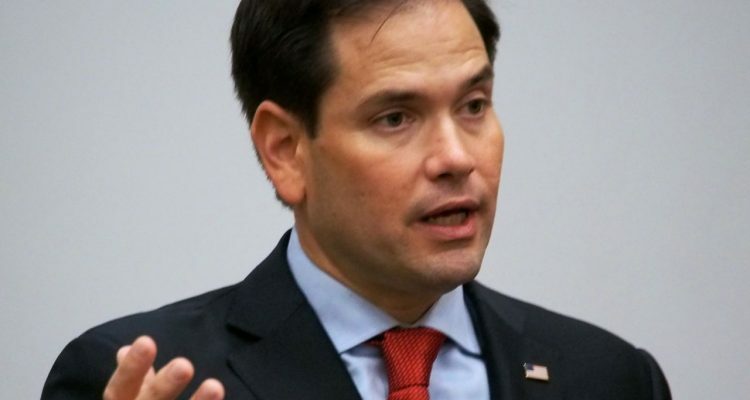 Florida’s Republican U.S. Sen. Marco Rubio sent a letter Thursday to the top official for the Army Corps of Engineers urging priority for scores of Florida water projects from the Herbert Hoover Dike to the harbors in Jacksonville and Pensacola. Rubio, a member of the powerful Senate Appropriations Committee, sent his letter Thursday to Assistant Secretary of the Army for Civil Works R.D. James. It reminds James that the budget bill Congress approved and President Donald Trump signed last week authorizes and allocates money for numerous projects, and Rubio wants to make sure Florida gets its share into the Army Corps of Engineers’ Fiscal Year 2018 work plan. Rubio’s letter serves to show how much water work is sought by Florida, and how much assistance the Sunshine State could use from the federal government, notably the Army Corps of Engineers, to address pollution, flooding, ecosystem restoration, water management, and harbor, coastal, and river marine navigation maintenance and operations. Florida’s big projects involving the Everglades, the Kissimmee and St. Johns rivers, and others are in there. So, too, are a number of lesser-known projects dealing with harbor, beach, river, and water quality issues stretching from the Florida Keys through the Panhandle. The list Rubio forwarded includes 22 congressionally authorized engineering and construction projects, including some that have numerous sub-project parts; two local projects authorized to receive federal assistance; and another couple dozen programs that need ongoing maintenance and operation money. “These projects prevent flooding in our communities, protect vital drinking water and irrigation sources, bolster economic growth and prosperity, and conserve and restore unique aquatic ecosystems in our state, including America’s Everglades,” Rubio wrote. 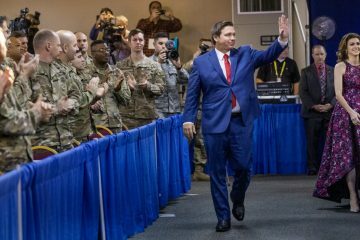 “As you finalize the planning and selection process for the FY18 Work Plan following passage of the Consolidated Appropriations Act of 2018, it is critical that all proposed and ongoing Florida projects receive your full and fair consideration while taking into account each project’s value to the local community, our state, and to our nation as a whole,” he added. 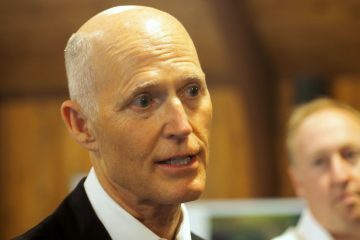 Among the congressionally authorized projects he urged James to not overlook: Brevard County shore protection; Canaveral Harbor sand bypass; Collier County shore protection; Daytona Beach flood protection; Flagler County shore protection; Florida Keys water quality improvements; Fort Pierce Beach; Herbert Hoover Dike; Jacksonville Harbor deepening; Jacksonville Harbor, Mile Point project; Martin County beach erosion control; Miami Harbor Channel; Nassau County shore protection; Okaloosa County shore protection; Palm Beach County beach erosion control; Panama City Harbor; Pinellas County shore protection; Sand Key and Treasure Island segments; Port Everglades Harbor deepening; Putnam County comprehensive water supply infrastructure modernization; South Atlantic Coast comprehensive study; South Florida ecosystem restoration; and St. John’s County shore protection. The two “Continuing Authorities Programs” projects he highlighted in the letter were Lake Toho restoration and Mt. Sinai Seawall rehabilitation. 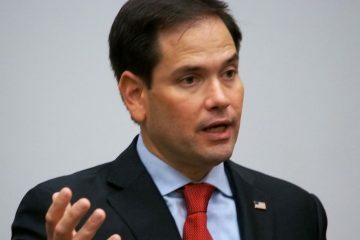 Finally, Rubio cited the continuing funding needed for the operation of programs at the Apalachicola, Chattahoochee and Flint Rivers; Canaveral Harbor; Central and Southern Florida; Escambia and Conecuh rivers; Fernandina Harbor; Fort Pierce Harbor; Jacksonville Harbor; Jim Woodruff Lock and Dam; Manatee Harbor; Miami Harbor; Okeechobee Waterway; Palm Beach Harbor; Panama City Harbor; Pensacola Harbor; Ponce De Leon Inlet; Port Everglades Harbor; Port St. Joe Harbor; shallow draft harbors; St. Augustine Harbor; St. Johns River; South Florida ecosystem restoration; Suwannee River; and Tampa Harbor, and various ongoing statewide programs such as removal of aquatic growth.